Anne had a fantastic first week! I think Anne has finally reached a point in her cognitive recovery where she realizes she has a brain injury AND she understands she has to work to get better. 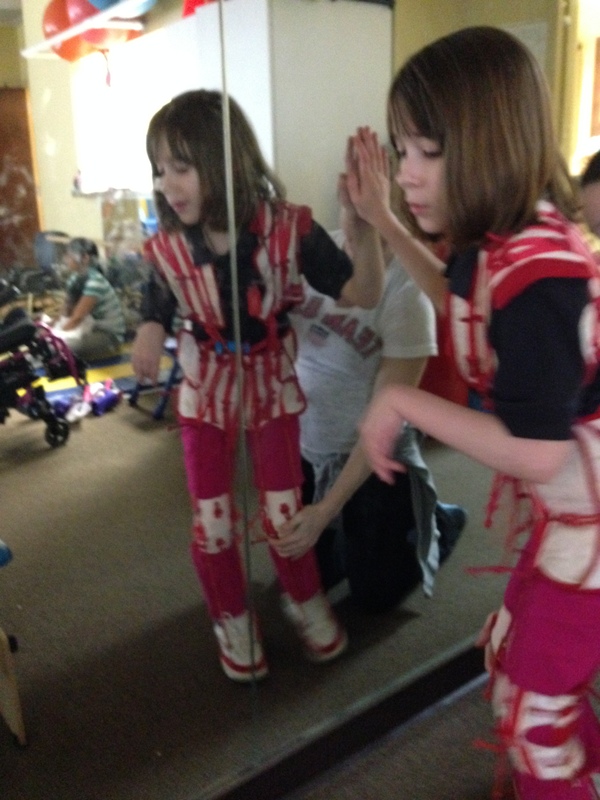 Because of this realization, she is determined in therapy. I’ve never seen Anne work so hard with such a great attitude! I’m so proud of her. 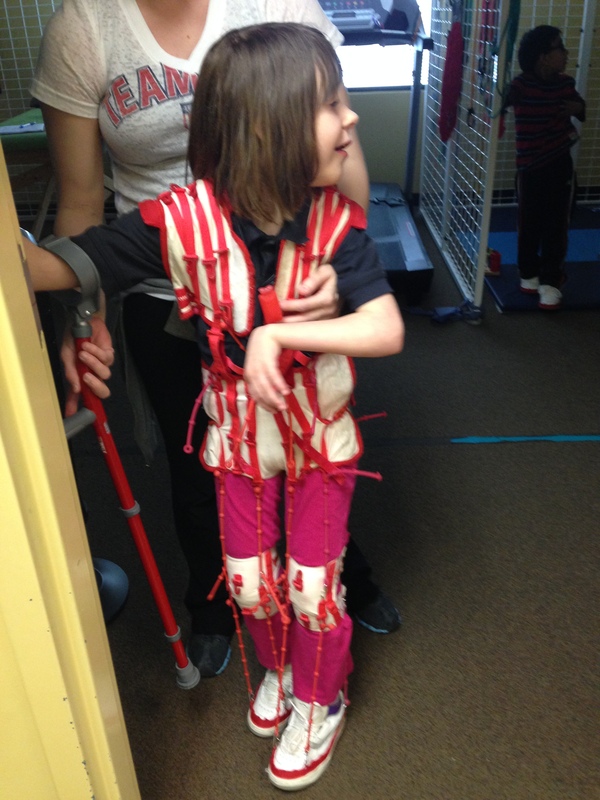 One of the ways TheraSuit therapy works is through the unique design of the “suit.” Every movement is more difficult in the suit. It’s sort of like a baseball player taking practice swings with weights on his bat. When he steps up to the plate, the regular bat feels lighter and easier to swing. Similarly, when Anne performs all of her exercises in the “suit,” she is able to strengthen so many muscles at once – making it easier for her to move without the suit. 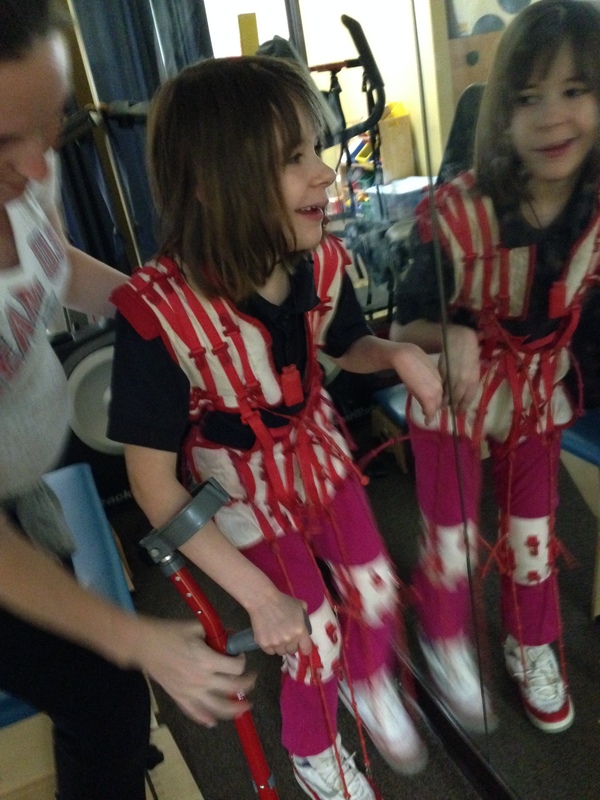 One highlight of the week was Anne’s ability to walk on the treadmill. 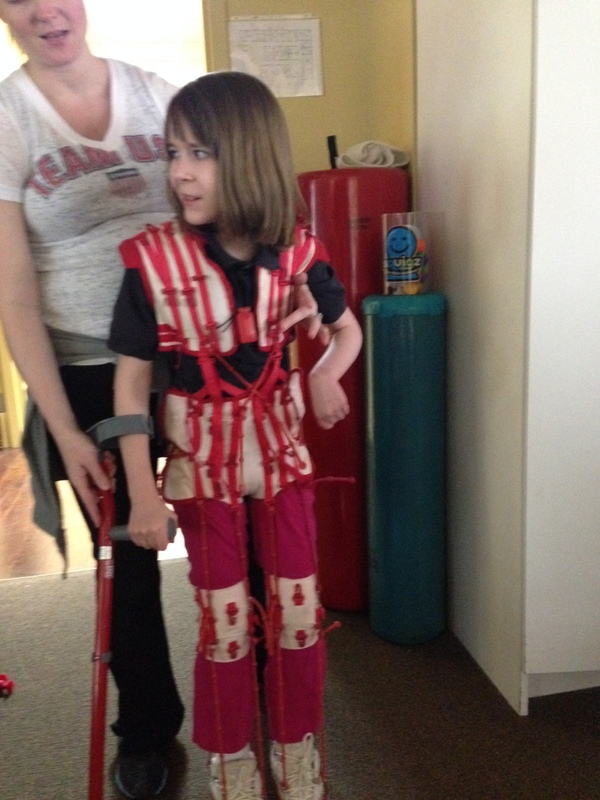 She walked 20 minutes on the treadmill while wearing the suit! That’s a huge accomplishment for Anne. Another praise from the week was that God preserved Anne’s health. This is truly miraculous as Kate, Canon and Eric have all fought off horrible colds with fever and severe congestion. Please pray that Anne and I continue to stay healthy throughout the next two weeks. This is truly awe-inspiring! What a Creator-God Who designed a brain that is so magnificent! Praise The Lord for her determination, hard work and great attitude! And praise God for her good health! We are praying continually over all of it!! Thank you for sharing this great report! And having a new team working with Anne while using the TheraSuit sounds like perfect timing as well. They get to meet Anne where she is TODAY, not where she was last year. And she’s freer to be where she is NOW rather than where she was then, as well. Now how cool is that?! Stepping out of helplessness and into the place of power….of understanding SHE can influence where things go from here, is HUGE. And even Greater things are to come. Love and prayers steadily flowing……. God is so good! I continue to be inspired by the Jacksons. I am excited to hear the use of this therapy for Anne is causing her to have more confidence in herself. Keep on!